michele made me: Pyramidal Pincushion PDF Tutorial in The Shop! Well, this is as good a day as any to update the little Shop, I reckon. Today's offering is one that's been around a spell and that several people have asked me about over the last few years. And, I am nothing if not accommodating. After a while... eventually... when I'm good and ready, that is. 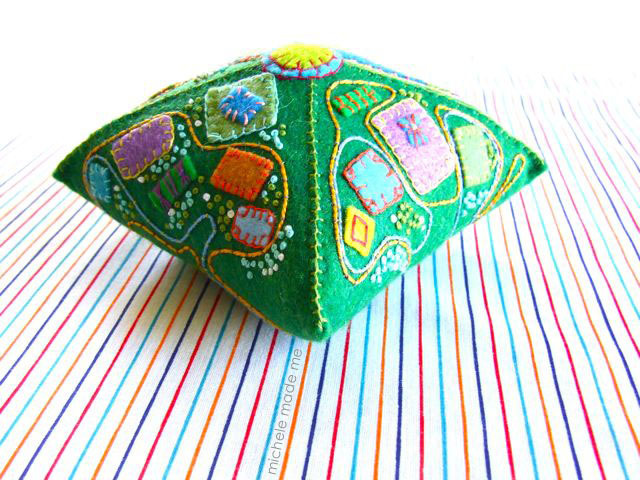 In this tutorial, I show you how to put together this scrappy, felty, pyramidal pincushion. The supplies are decidedly simple. 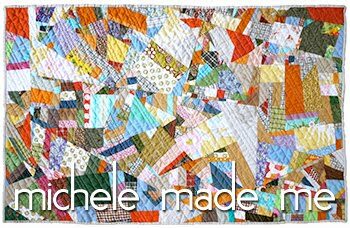 You'll need some felt and felt scraps, cotton string, embroidery thread, scissors, a few pins and needles, and of course the handy-dandy tutorial. With that, you'll be on your way! 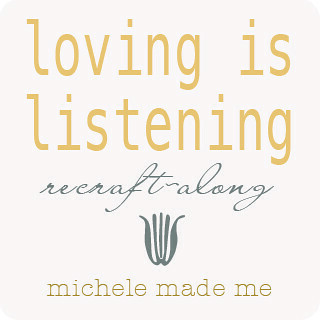 The project is probably best suited for the intermediate crafter. 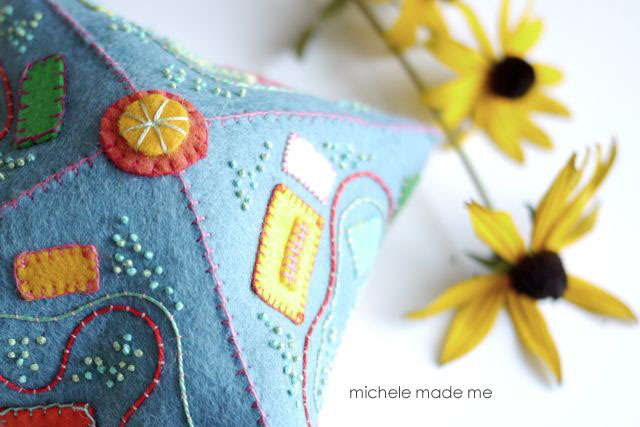 You'll do well to posses some basic embroidery skills. 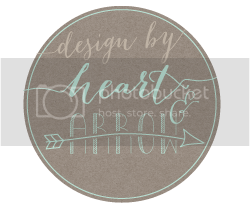 And if you're one of those crafters with an artist's heart, you'll find you'll be able to make your very own customized version of the pincushion, if you so desire. 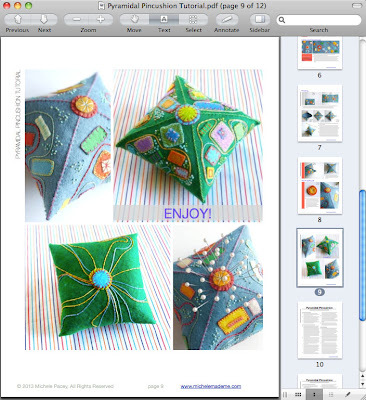 Here's a screenshot of the last page with two versions of the completed pincushion. I had a fun time creating and assembling the whole she-bang, and I think you'll have an equally fun time making it. 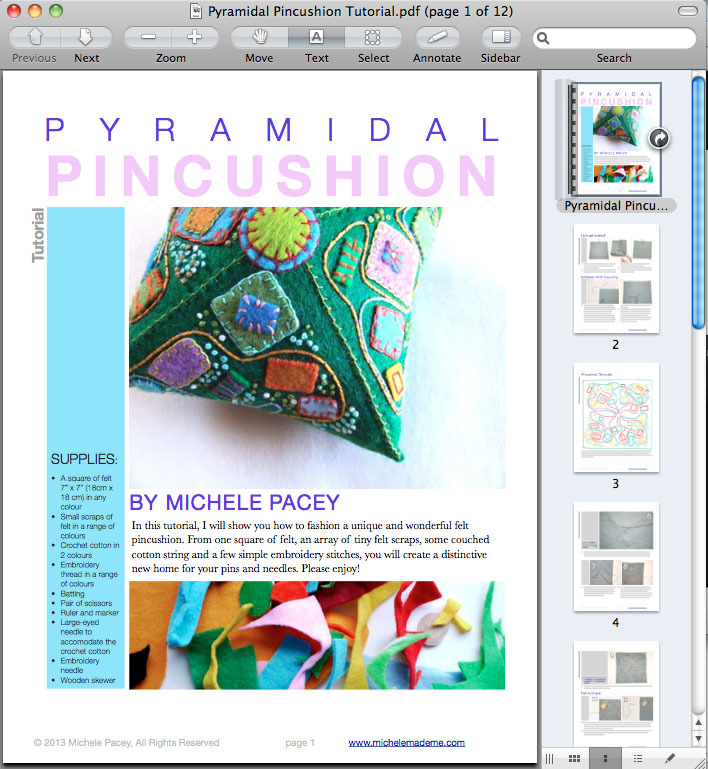 Henceforth, find the downloadable "Pyramidal Pincushion PDF Tutorial" in the Shop!